The Second Arrival – Cairo. I must say this time was much more mellow. The train was a smooth ride from Alex. 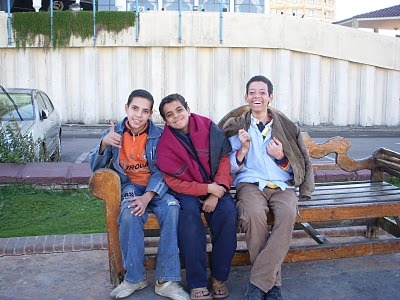 I took the tram to the eastern suburbs train station in Alex, which the inexpensive way to go. It might be slower, but this is the way I am traveling, I have the time to take it slow. 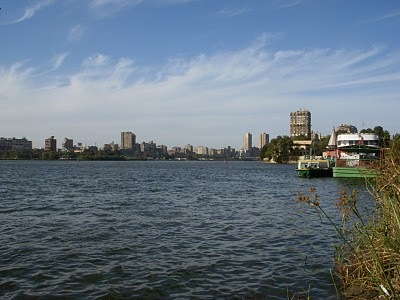 Nice clear day here in Cairo. I was reading back sometime that November was nicked-named black November because they burn the rice fields or something like that. Anyway I know what to expect this time and know what most people’s motivation is, which is money. I am back at the same Hotel, although I am looking around at others, I might just move to a different one next week. They guys at this hotel are so cool I don’t think I will change but we will see. Next week there is a big Muslim holiday from Tuesday through Friday, basically a winter solcest type of celebration. A big sacrifice, cows, lambs, goats, in the street and they give to the poor the first day. Then feast time for the rest of the week. I must say the lower entities sure did do a good job on getting people to worship the sun. Christmas is a fine example. 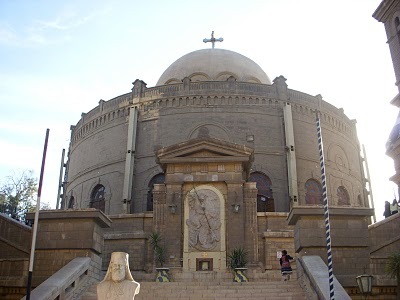 The Egyptian Christians, which are Orthodox, will be doing Christmas January 7th . So how many of you western Christians knew this information? There is 10% of Christians in Egypt; 1% is Catholic, which celebrates Xmas on December 25th. The Orthodox is the other 9%, which celebrates Xmas on January 7th. Big conflict on what day Jesus was born on. Funny, nobody knows; all Jesus said was to remember his death. Why you may ask? Because it was the night of passover in the spring. I will be in Cairo for all next week and maybe longer, we will see. The energy here in Cairo is very different then Alex. Alex has a good feel because of the water. Towns or cities that are on the ocean seem to have that good layed back feeling. in Cairo people seem way more stressed and uptight in a certain way. At the train station the taxi guys approached me, I said the location I was going to, which was walking distance, they say “20 pounds” I say “2 pounds” and they leave me alone. It’s a big game out here, play the game and it becomes fun. If a person does not play the game they end up very frustrated. Today I went to the Copitc Cairo area, which is a walled area packed with churches, nunneries, a couple of monasteries, and the oldest Jewish synagogue in Egypt. Creepy energy I must say. Packed with Idolatry, drowning in the blood that has been spilt. 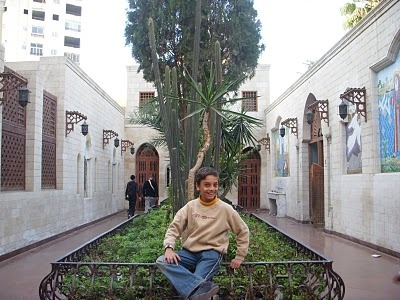 Kind of interesting there are only 110 Jews living in Egypt, I met one in Copitc Cairo. The very interesting concept is they also have many people selling stuff, and stuff, and stuff in this area. In front of many of the religious structures they are conducting business. Out here a person is Christan, Muslim or Jewish and no other. When I say “no” to all of the religions the person becomes very perplexed. There is no knowledge of the Damapada or the Bhagavad Gita in the Arab world. That, I call a shame. The freedom of America does allow a person to make a choice within this subject. The house of Idolatry. Breaking what Moses taught. The Metro is the best way to get around town if you are traveling independently. It is only one pound per entry and very efficient. It might be challenging at first, although I just take my time to figure it out, and take time to get my navigation brain in place and figure out how to find something. Although, the difference is time. Many travelers that I have met don’t have the time which is reasonable because they are on a holiday. Back in 2000 I said once I leave, I am not planning on coming back for a long time. Patience, Waiting, Perseverance, Integrity to the plan. Qualities that nobody can take away. When I plan something I am quite serious about my plans. This is the only way to travel. Although whatever type of vacation a person can do will be a god experience. I met a guy from Algeria, great place to travel through I guess. I could also take a boat from Sicily (once I get there) to Tunisia, then through Algeria to Morocco, and up to Spain. Although that would not be for awhile. Religion is very dark. This whole world is under the power of the wicked entities. P.S. I can’t believe it I just met a girl from Nebraska here at the internet cafe, she has been going to school at St Olif in Minnesota and taking a semester out here in Cairo, It has been very strange how I have been meeting certain types of people, I mean really strange. Next post: The Egyptian Museum. Previous post: Tanta Waa Cafe – Siwa.